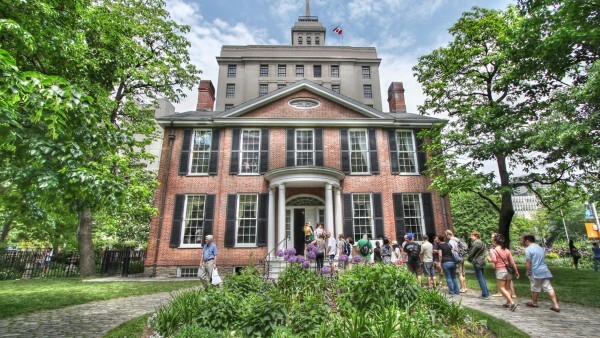 Campbell House Museum is one of Toronto’s most conveniently located venues. Four unique spaces makes this property perfect for organizing simple to elaborate events. To list a few ideas, the top floor’s ballroom can be used for ceremonies, cocktail receptions and plated meals. The Robinette dining room can be converted to a dancefloor and the foyer is the perfect place to enjoy a welcome drink. The museum’s grounds are the perfect setting for garden events which can be tented to seat up to 120 guest, or serve 200 standing. The flexibility of the room combinations, together with the interior and exterior settings are great for corporate functions to intimate weddings. Built in 1822, this historic house was the home of William Campbell, sixth Chief Justice of Upper Canada and his wife, Hannah. Saved by the Advocates’ Society from demolition and moved to its present location at 160 Queen Street West, in 1972, the Georgian style building was restored with late 18th and early 19th century furniture and artifacts and now includes a museum. 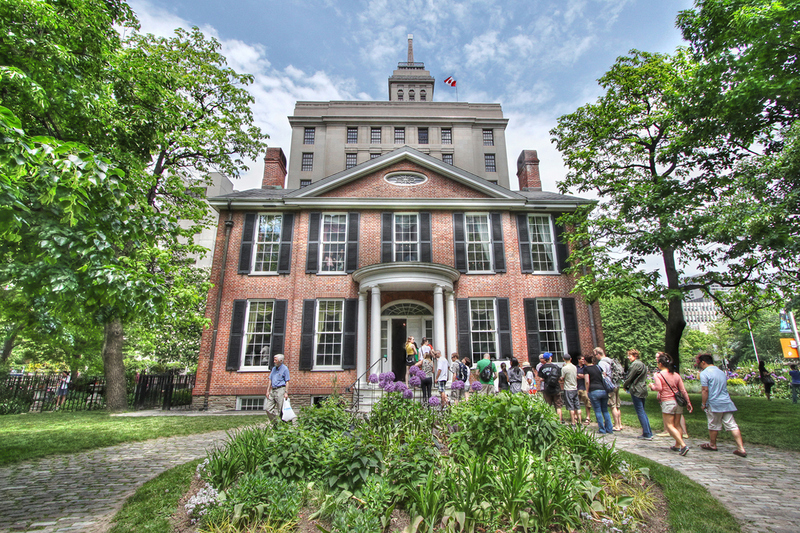 Built in 1822 Campbell House remains one of the most historical venues in the GTA.